If you've ever been to Silverton Mountain in Colorado, you know it's like no other ski area in the Lower 48. With steep, unforgiving chutes, tons of no-fall-zones and over 400 inches of snow a year, Silverton Mountain is arguably the most demanding "resort" in the US. 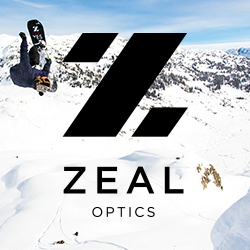 So it was no surprise that their guides chose Smith Optics as their official helmet and eyewear partner. THE MAZE HELMET: STILL THE LIGHTEST The Smith Optics Maze is the lightest certified helmet on the market. With sleek lines, an adjustable fit system and available for only $100 at Smith dealers everywhere, the Maze is unparalleled in style, performance and value. GET YOUR SMITH APPAREL ON Available at www.smithoptics.com and select Smith retailers, our apparel lets you floss comfortable and high quality Smith gear long after the lifts stop running. Check out the Welden (shown) and the rest of the line here. NEW P.I. EPISODES More action from Smith's own private backcountry zone just minutes from the office.